Thanks for visiting Audiko.net! 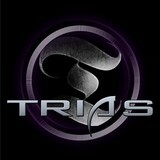 You can easily download a free Trias Official ringtones for your iPhone or mobile. Go for your favorite moments from your favorite award-winning track - Trias - Desert Night, Trias - Onslaught, Trias - Time Shift, or any other track. On Audiko you can download your tune both in the MP3 and m4a formats, compatible with both mobile phones and iPhones. Just select a track, and choose free Trias Official ringtones download option.